We, at Meto Interiors Ltd understand how important is to have professionally build home and office premises. 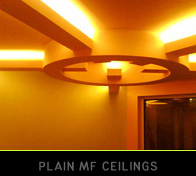 For that reason we have specially designed a list of MF Ceiling services. 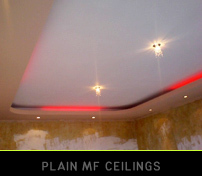 Standard MF Ceiling is fixed on to metal or wooden frame and covered with plasterboards. Flat ceilings are perfect solution for short term refurbishments as they are not slowing down the other trades such as painting, cabling, wallpapering. 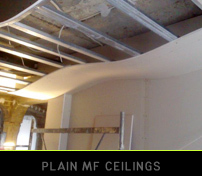 The MF ceilings are quick to install and effective to maintain.